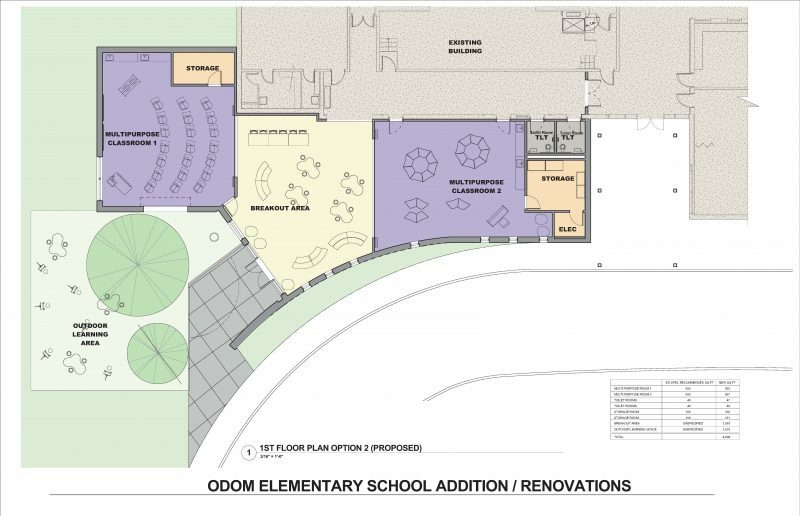 BLGY is currently in the Design Development Phase of a two- classroom addition at Odom Elementary School, with a break-out area, two new restrooms and an outdoor classroom. 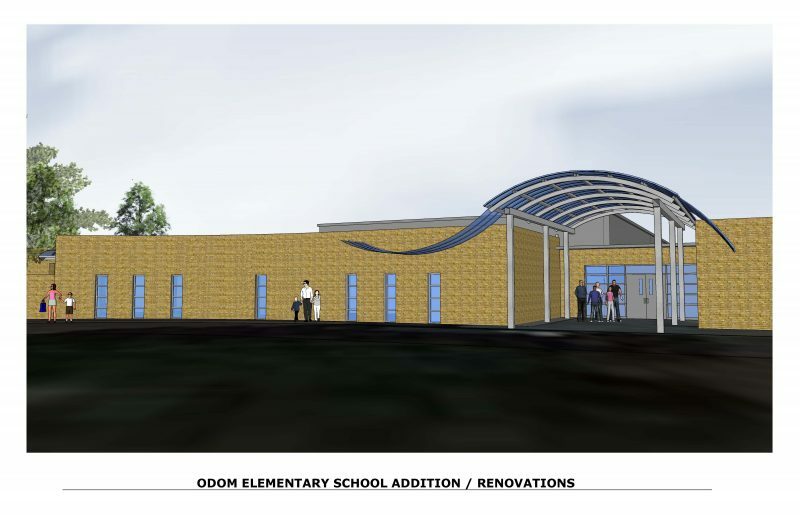 This project’s significance is that it is amongst an early crop of pilot school additions being designed to align with the District’s transformational Educational Specification currently in preparation ahead of the forthcoming November bond election. The project includes renovations in the existing cafeteria, 10 bard units replacing existing Ground Source Heat Pumps, furniture selection and Specification for the two classroom addition, break-out area and outdoor classroom. Furniture being specified for the classrooms and breakout spaces will be flexible and moveable, allowing multiple learning configurations within each learning environment.